« Watermelon isn’t a fruit in Japanese? And colors across languages. I see this autonomic conflict so often in my somatic therapy practice. When clients are describing their stressors, they often feel both ready to flee (sympathetic) and shut down (too much parasympathetic) at the same time. Somatic therapy is so effective precisely because it works with the physiological reactions of both fight/flight and freeze/shut down coupling. When a person’s body-mind system has become habituated to pressing on the gas and brakes simultaneously, symptoms like anxiety, insomnia, digestive problems, headaches, hot flashes or cold flashes, as well as feeling disconnected from others can easily ensue. 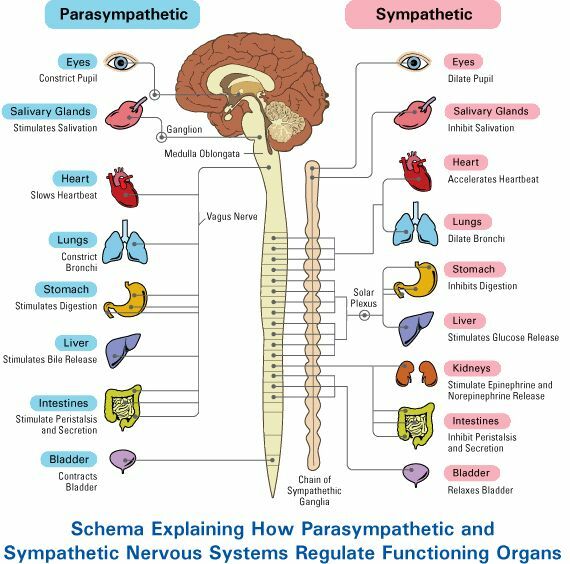 Carefully uncoupling the sympathetic and parasympathetic reactions, and their physical counterparts, can create lasting shifts in the nervous system, leading to a fuller and more satisfying life.